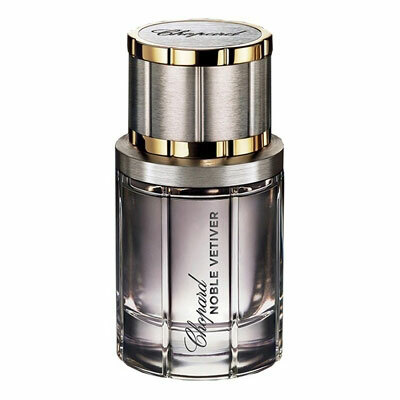 Chopard launches a new fragrance for men, Noble Vetiver, to mark the 150th anniversary of this house. The fragrance represents timeless elegance and precision of the house and it aims at men who share their passion for high quality and beautiful things. Chopard Noble Vetiver was created by perfumer Lucas Sieuzac, who was based on woody-spicy-leathery aromas. Top notes immediately await you with elegant vetiver, accompanied by accords of bergamot, cardamom and red hot pepper. A base intertwines clary sage and mahogany leaving an impression of freshness and sophistication, while a base incorporates a luxurious trail of Barenia leather and golden tobacco. Noble Vetiver is available as 30, 50 and 80ml EDT, accompanied by 75 ml deodorant stick. Noble Vetiver was launched in 2010.